First northbound Florida 293 toll shield just north of its southern terminus with U.S. 98 in Destin. 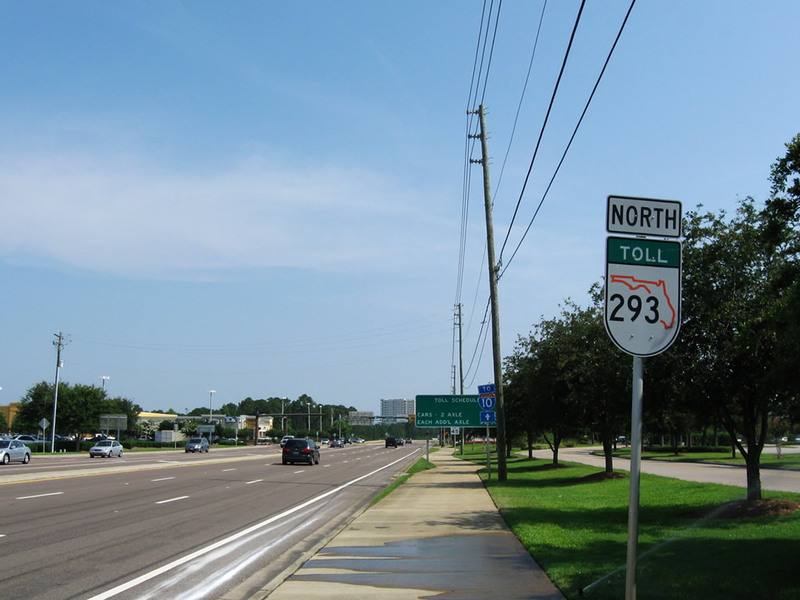 This is the only toll shield for Florida 293 that shows an orange Florida outline instead of the typical black outline. The orange outline is typical of Orlando area toll expressways. Photo by Brent Ivy, 6/20/2009.